A brand new festive family hub created right in the heart of Adelaide, launched for the Adelaide Christmas holidays 2017. 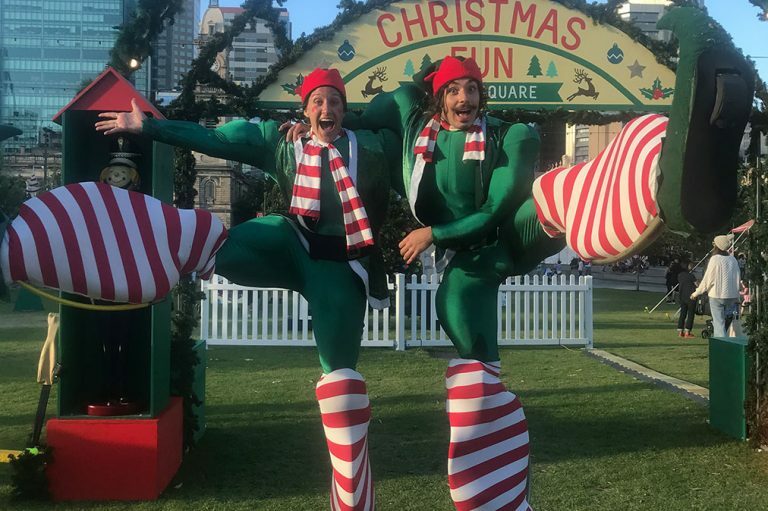 Free to enter and open daily from 15 – 24 December, Christmas Fun in the Square saw Victoria Square/Tarntanyangga transformed into a playful wonderland bursting with colour, candy canes, lights, music, food trucks and a sleigh-load of merry-making activities to put smiles on faces young and old. 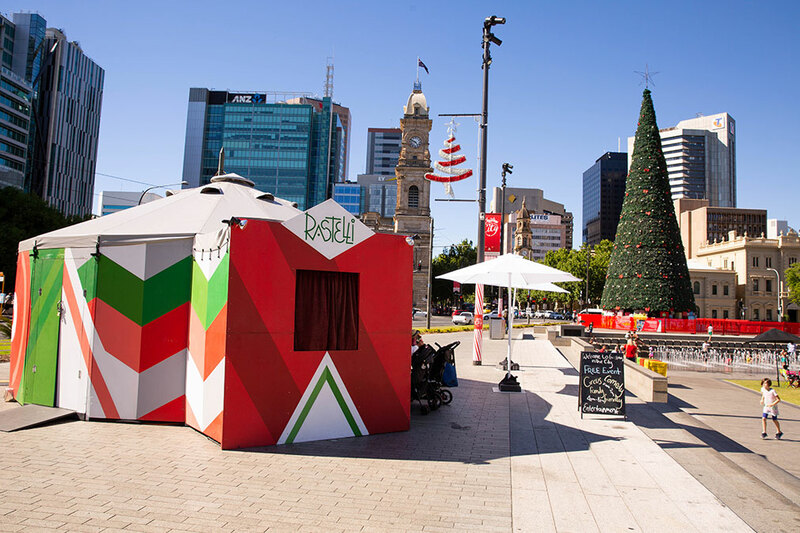 Along with amusement rides and daily games, a spectacular feature was our striking red, green and white wooden Rastelli Tent which hosted short, family-friendly performances by jugglers, acrobats, comedians and magicians. 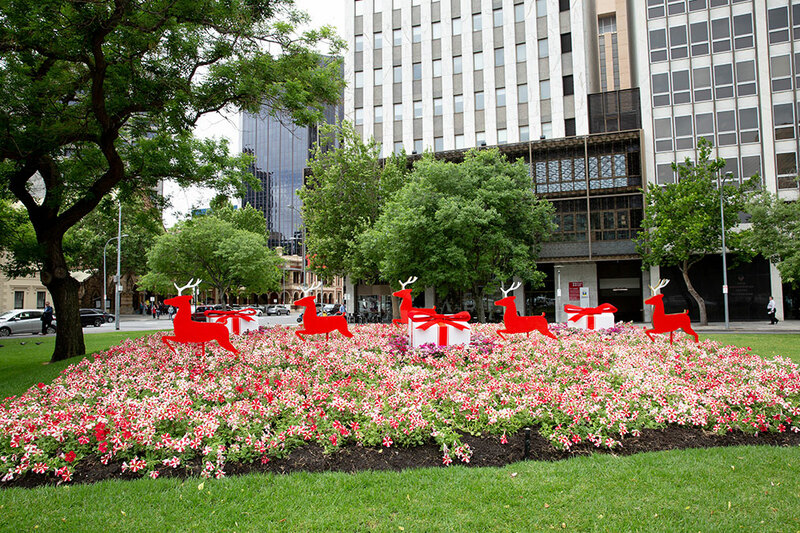 Working within a budget and brief provided by City of Adelaide to fill the Northern side of Victoria Square in the lead up to Christmas. 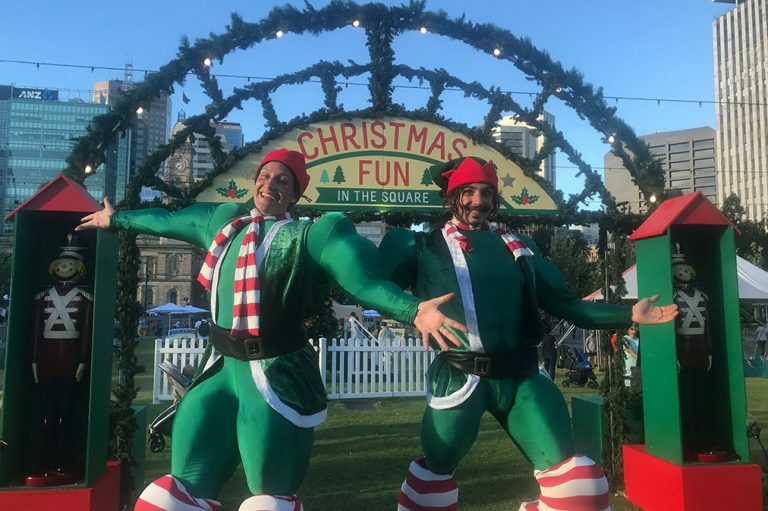 Bamboozled Productions put together the creative brief and programmed the Rastelli venue with daily 15 minute family friendly performances, a roving programme using some of the finest companies in Australia and a considered music schedule drawing on Adelaide’s UNESCO City of Music status. 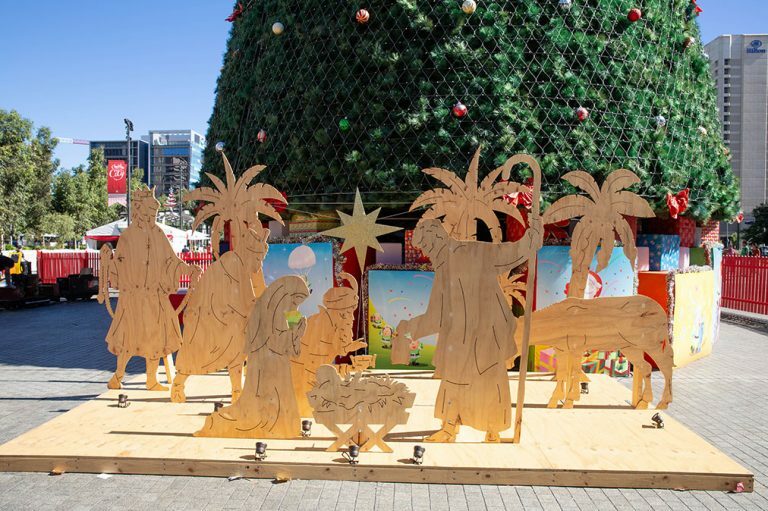 Bamboozled also engaged Nonsense Inc., an Adelaide based company that creates spellbinding creative workshops for kids.